In the winter of 1987..WOR TV Ch.9 moved it’s tv studios to The Seacaucus, New Jersey area and built a new state of the arts studio and changed it’s call letters to WWOR. They also began to create and develop new and original tv shows for their audiences.Since local tv stations were losing their viewers to cable programming and to the home video market. Also..with deregulation imposed by The Regan administraion The heads of Ch.9 decided to create,produce and present a fun kids tv show that would be hosted by either a personality or a performer. The station execs hired former CBS TV weatherman Mark McWhen to mc their sunday morning kids variety tv series. McWhen was leaving CBS TV following the cancellation of the network’s failed attemp to create,produce and present a weekday morning talk/variety/news show”The CBS Morning Show”..but just as he was about to leave the network. The heads of CBS TV revamped the format and made into a more serious news program titled”CBS:This Morning”and they enticed McWhen to stay on as the show’s weatherman. Seeing that they needed a replacement for McWhen, the station execs held auditions for a new host for their kids tv show. 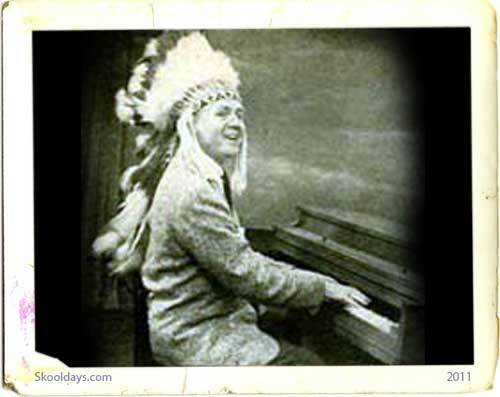 They finally found their choice in the person of a zany stage and nightclub comedy performer from Boston,Ma. Mario Cantone. At the time,Cantone was doing a guest appearance on WWOR TV’s new weekday moring talk / variety show “People Are Talking” / “The Richard Bey Show”. Impressed with his talents as a mimic and his stand up comedy routines and also impressed with his credits as a former child actor in local theater and on local kids tv shows in Boston. 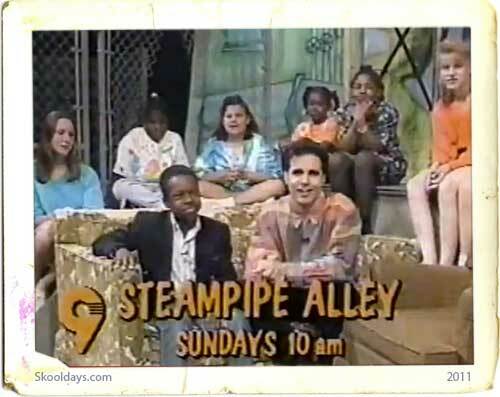 Cantone was asked to audition for the show..he won the audition and “Steampipe Alley”made it’s debut on WWOR TV on Sunday Morning February 7,1988. Set against the backdrop of a makeshift clubhouse in the basement of an inner city apartment building.Cantone would engage the studio audience of kids in games,songs,comedy skits and interviews with guest performers and personalities. One of the games that was presented on the program was the revival of a concept that Sonny Fox first ultilized on his Saturday morning kids tv game show “Just For Fun” on WNEW TV Ch.5 in NYC two decades before”The Mystery Guest”. A panel of three kids would try to find out the identity of “The Mystery Guest”by asking the guest questions..while being blindfolded. “The Fat Boys”,Max Wright,”Morris The Cat”,”Bugs Bunny” (An actor in a costume played the popular movie cartoon character)and even Controversial tv talk show host:Morton Downey,Jr. would serve as “The Mystery Guest”. Cantone would also introduce a feature..where he would play a wise teenage sage named”Richie Morales”..who would dispense some important values to the viewers at home. The show also feature two segments “Well? Excuse Me!” and”Mom:Cut It Out”where the kids at home would send their letters telling Cantone and the kids in the studio audience about their problems with members of the family and friends and kids at school. The show also feature reruns of The “Looney Tunes”, “Merrie Melodies” and “Tom & Jerry”movie cartoons. And a talent contest..where some undiscovered talented kids would show off their musical abilities to the studio audiences and to the viewers. More often than not? Mario would use his comedic characters to help lead into the show’s games: “Angelo Antonelli” would lead into “The Three Sewer Monte”game(Where a lucky girl or boy would answer a question and then choose a sewer pipe..which when it was opened up.. the lucky kid would win either a collection of toys, Hershey candies or a pound of Spider’s Primavera..Pasta with rubbe bugs mixed in. ), “The Verminator” (A parody of Arnold Schwarzenegger’s “The Terminator” ) would lead the kids in the “Pie In The Eye” game. where the kid had to find an eye or some other item hidden inside of a pie, and “Out Of Gas” had “Poochano Paveracchi”(a parody of Luchano Paveratti the opera singer) would leave the kids in a variation of musical chairs. Cantone would also perform comedy skits as the egotistical singer”Julio Bodachus”.who was always being upstaged by the wisecracking dragon puppet”Rosita”(“Rosita”was maniplated and voiced by the show’s director..Ms.Judy Katsheka). The show would be taped first at the WWOR TV Ch.9 studios in Seacaucus,N.J. and for a time at The Universal studios in Hollywood,Cal. (This was when Ch.9 was owned briefly by Universal TV)during the fall and spring months..which would give Cantone free time to perform in the clubs. The show remain on the show..until the fall of 1990..when Ch.9 was bought by Chriscraft TV Inc. The wife of the new owner of the station disliked the format of “Steampipe Alley”and she also disliked Cantone’s humor. 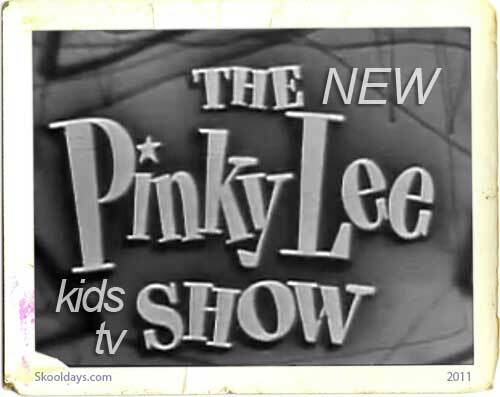 She requested that the show be cancelled..In April of 1993 “Steampipe Alley” called it’s last club meeting and with it’s cancellation.. the golden age of NYC’s fun kids tv shows came to an end. 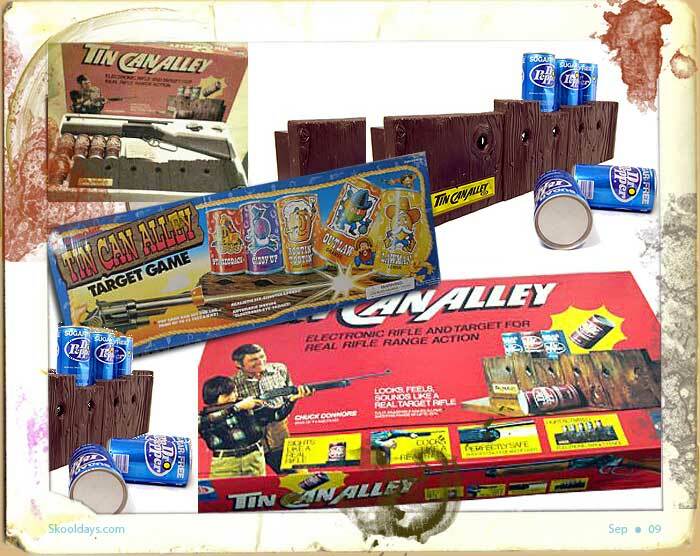 This entry was posted in Saturday and tagged 1980, 1990 by Skooldays. Bookmark the permalink. I’ve added this photo of Mr.Cantone on the set of”Steampipe Alley”..I hope that you might add it to this page?